My kids love to paint and color, so with three kiddos creating not one but multiple pictures we go through periods were we are drowning in artwork. It's all over our fridge, cabinets, hubby's office, and school room walls; currently there are even a few pieces haning mid-wall in our living room! And this is after me throwing some of it away! I know, I know... throwing it away seems so harsh; I did feel guilty for a second, but sometimes I just don't know what to do with it all! 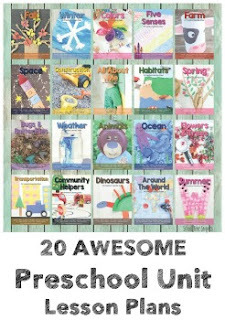 However, I am sure I am not alone, so I found 15 Creative Ways to Recycle Your Child's Artwork instead of simply throwing it out to keep handy for myself and for you! 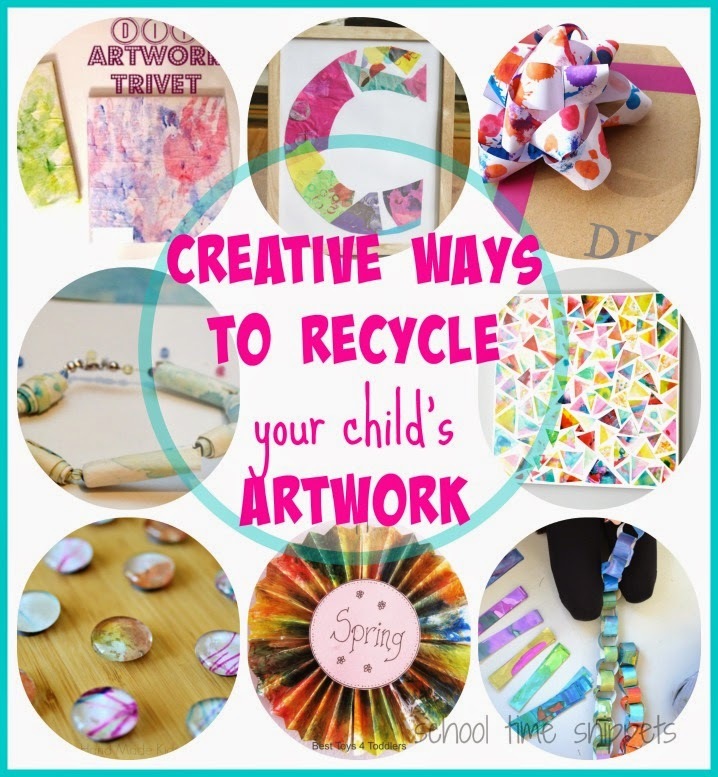 From recycling artwork to make a new piece of art or a gift for a loved one, here's 15 Creative Ways to Recycle Your Child's Artwork! This Paper Chain | Art Bar is another fun way to decorate the school or play room!